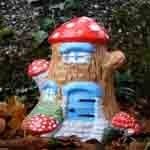 Our Classic Garden 0rnament - Fairy Houses. 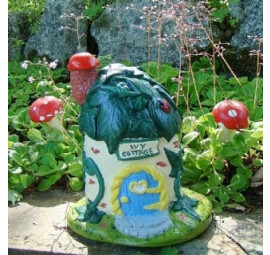 We make concrete fairy houses for your garden in different sizes from Apple Cottage (small) to Ivy Cottage (medium) to Tree Trunk Lodge (Large) and many more. 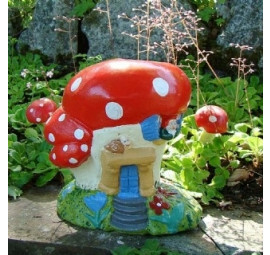 These are enchanting houses to help make a mythical village in your garden. The houses are our traditional range that has been made by Hand, for over 70yrs at Pixieland. A perfect addition to your garden and also a wonderful unique gift..